In case you missed it, the Wisconsin State Journal on Wednesday May 28 ran a very nice article about member Margaret E and the creation of fairy gardens. Margaret works at America’s Best Flowers in Cottage Grove and is giving three workshops on the creation of fairy gardens – one at America’s Best on June 21, and two at Olbrich on June 19 and July 12. 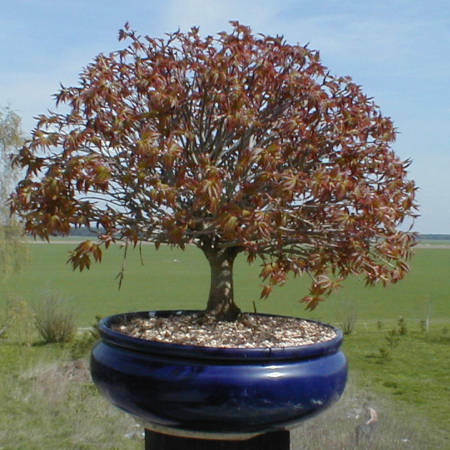 While not strictly bonsai, the objects, plant selection, pruning, etc have much in common. For more information contact either Olbrich, or America’s Best at 222-2269. In English, the most common styles include: formal upright, slant, informal upright, cascade, semi-cascade, raft, literati, and group/forest. This list is compiled on Wikipedia. Formal upright style, or Chokkan, is characterized by a straight, upright, tapering trunk. Informal upright style, or Moyogi, may incorporate pronounced bends and curves in the trunk and branches of the tree, but the apex of the informal upright is always located directly over where the trunk begins at the soil line. 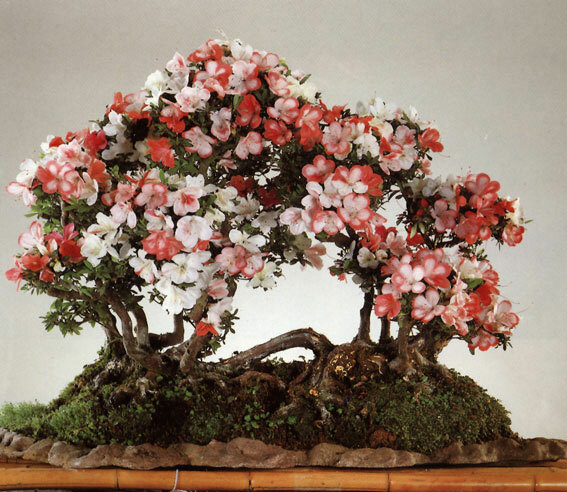 Cascade-style, bonsai are modeled after trees which grow over water or on the sides of mountains. 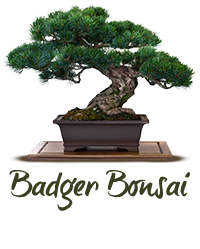 The apex, or tip of the tree in the Semi-cascade-style, or Han Kengai, bonsai extend just at or beneath the lip of the bonsai pot; the apex of a Full-cascade-style, or Kengai, cascade style falls below the base of the pot. 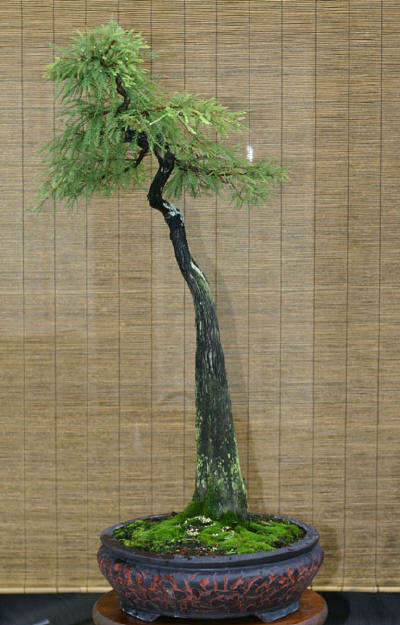 Broom style, or Hokidachi is employed for trees with extensive, fine branching, often with species like elms. The trunk is straight and upright. It branches out in all directions about 1/3 of the way up the entire height of the tree. The branches and leaves form a ball-shaped crown which can also be very beautiful during the winter months. Literati style, or Bunjin, is characterized by a generally bare trunk line, with branches reduced to a minimum, and typically placed higher up on a long, often contorted trunk. This style derives its name from the Chinese literati, who were often artists, and some of whom painted Chinese brush paintings, like those found in the ancient text, The Mustard Seed Garden Manual of Painting, depicting pine trees that grew in harsh climates, struggling to reach sunlight. In Japan, the literati style is known as bunjin-gi (文人木, bunjin-gi?). (Bunjin is a translation of the Chinese phrase wenren meaning “scholars practiced in the arts” and gi is a derivative of the Japanese word, ki, for “tree”). Root-over-rock style, or Sekijoju, is a style in which the roots of a tree (typically a fig tree) are wrapped around a rock. The rock is at the base of the trunk, with the roots exposed to varying degrees. Growing-in-a-rock style, or Ishizuke, means the roots of the tree are growing in the cracks and holes of the rock. There is not much room for the roots to develop and take up nutrients. These trees are designed to visually represent that the tree has to struggle to survive. 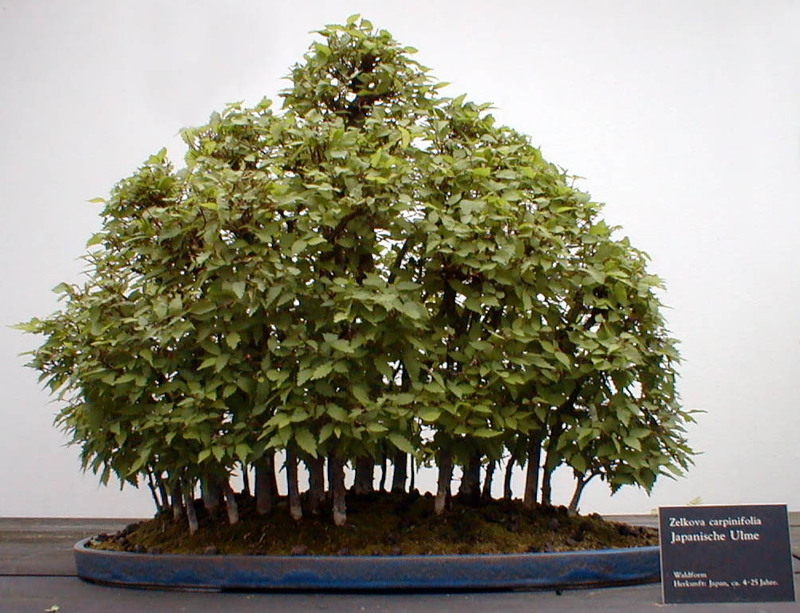 Multi-trunk style, or Ikadabuki, has all the trunks growing out of one root system, and it actually is one single tree. All the trunks form one crown of leaves, in which the thickest and most developed trunk forms the top. Raft-style, or Netsuranari, bonsai mimic a natural phenomenon that occurs when a tree topples onto its side (typically due to erosion or another natural force) and branches along the exposed side of the trunk, growing as if they are a group of new trunks. Sometimes, roots will develop from buried portions of the trunk. 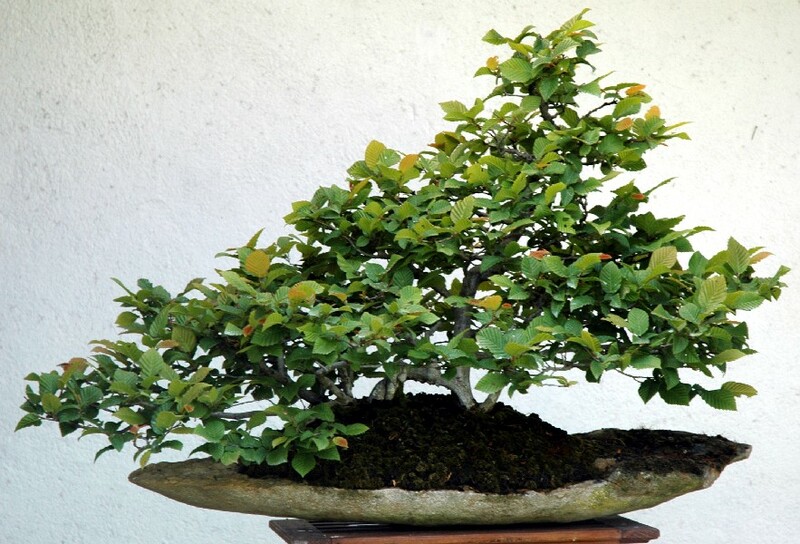 Raft-style bonsai can have sinuous, straight-line, or slanting trunks, all giving the illusion that they are a group of separate trees — while actually being the branches of a tree planted on its side. 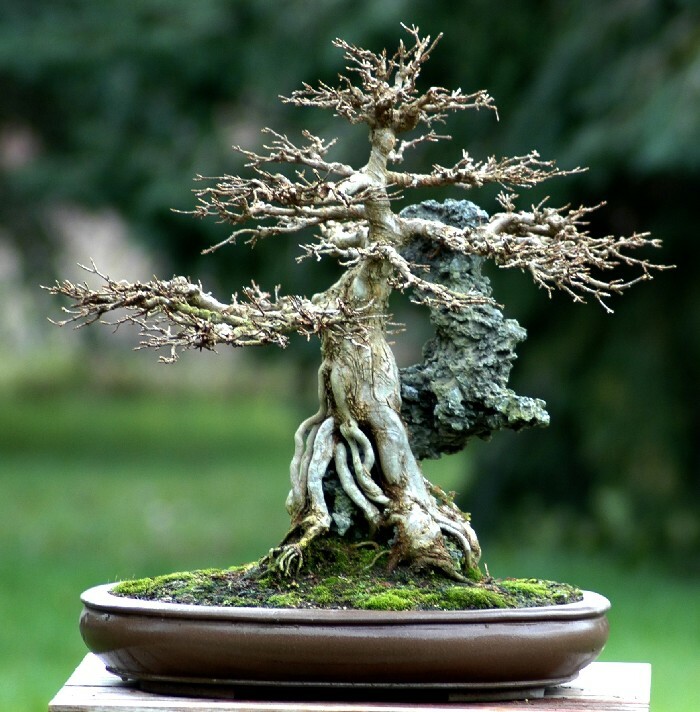 Group (or forest) style, or Yose Ue, comprises a planting of more than one tree (typically an odd number if there are three or more trees, and essentially never 4 because of its significance in Japan) in a bonsai pot. The trees are usually the same species, with a variety of heights employed to add visual interest and to reflect the age differences encountered in mature forests.